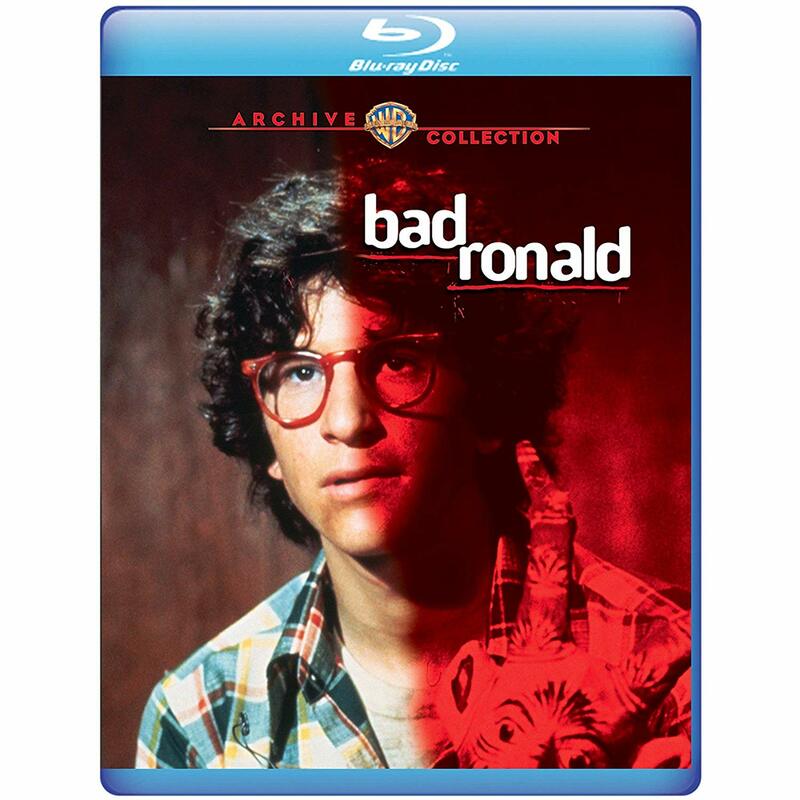 “Bad Ronald” (1974, Warner Archives Collection) Taunted for the umpteenth time, awkward, fantasy-minded teenager Ronald Wilby (Scott Jacoby) lashes out at his tormentor – a little girl, to add insult to injury – and accidentally kills her. Fearing that the police won’t sympathize with her odd duck of a son, Ronald’s over-protective mother (Kim Hunter) seals him up into a spare bathroom – and promptly dies, leaving her son’s fragile imagination to fester and warp as a new family (led by Dabney Coleman and Pippa Scott) moves into what they believe is a vacated house, unaware of the resident lurking in the walls. 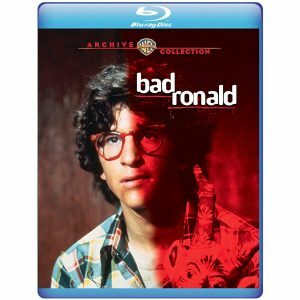 Though the premise suggests an exercise in prurient voyeurism, this TV-movie – a frequently cited title in discussions of how frightening telefilms from ’70s could be – manages to be unsettling, pathetic and tragic, especially when Ronald becomes fixated on the family’s daughters (Cindy Fisher and real-life siblings Cindy and Lisa Eilbacher). Based on a novel by Jack Vance, which was toned down considerably by writer Andrew Peter Martin and director Buzz Kulik. Warner Archives’ Blu-ray offers a sparkling new HD transfer. “Molly” (2017, Artsploitation Films) Seeking fresh thrills for his gladiatorial fights – in which combatants are drugged into psychosis and then set loose in a pit – post-apocalyptic strongman Joost Bolts sends his followers in search of the titular teenaged heroine (Julia Batelaan), whose reputation as a fearsome combatant is belied by her diminutive, bespectacled presence. That Molly turns out to be far more dangerous than expected is the high point of this relentlessly energetic Dutch sci-fi fantasy, which works best when laying out seemingly insurmountable obstacles for Batelaan to overcome (the best of which is a multi-tiered industrial location that most run-and-gun video games would kill for) with a mix of impressive physicality and pure gumption. 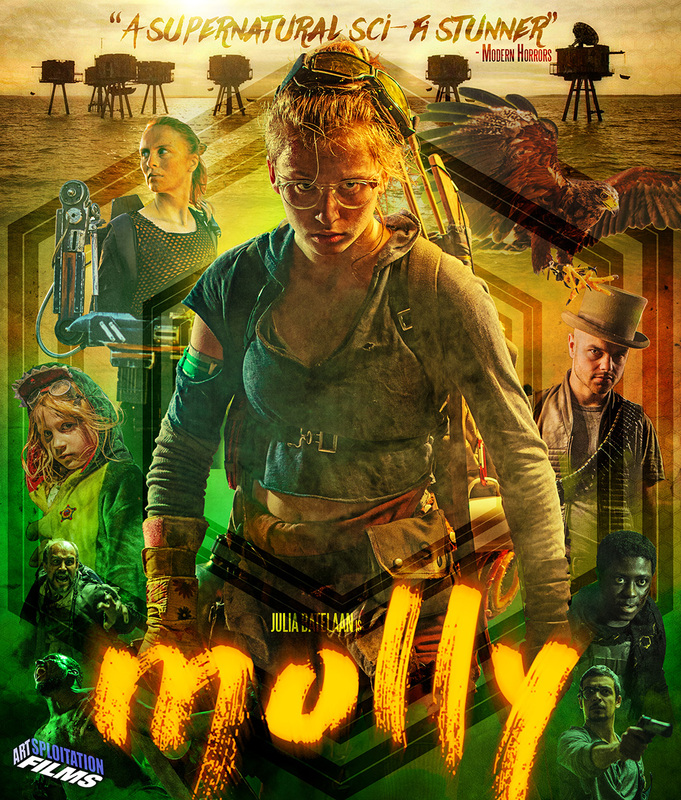 If “Mad Max: Fury Road” made you wish for more tough female heroines, “Molly” should be your cup of adrenaline. Artsploitation’s Blu-ray includes commentary by directors Colinda Bongers and Thijs Meuwese and a making-of featurette. “Mara” (2018, Lionsgate) Criminal psychologist Olga Kurylenko must determine why Rosie Fellner has strangled her husband in his sleep, though she insists that the murder is the handiwork of Mara (monster du jour Javier Botet of “Mama” and “[REC]” infamy), a demon who visits the guilty during sleep paralysis (and from whose name we derive the word nightmare). Kurylenko’s investigation brings her in contact with a sort of support group for insomniacs targeted by Mara, and eventually, through her own childhood issues, with the monster itself; director Clive Tonge doesn’t plumb the inherent creepiness of sleep paralysis to the degree of Rodney Ascher’s hair-raising 2015 documentary “The Nightmare,” and if his characters and script are pure cardboard – especially the jittery group members – he at least turns up the gas whenever Mara makes an appearance. Lionsgate’s Blu-ray includes a making-of featurette. And “Blood and Black Lace” (1964, VCI) gets another Blu-ray/DVD release, this time from VCI: Mario Bava‘s morbid thriller, about a masked killer stalking the decadent employees of a high-end fashion house, helped to not only set the tone and look of the giallo – the ultra-violent, Hitchcock-influenced strain of European horror-suspense films in the 1960s and 1970s – with its grisly murders, saturated color palette and obsessive psychology, but also wielded considerable influence over the stalk-and-slash subgenre in the 1980s and beyond. VCI’s two-disc set includes a new 2K restoration taken from the original film elements, an isolated track for Carlo Rustichelli’s marvelously overripe score, and commentaries by three top-notch historians – Kat Ellinger, David Del Valle and C. Courtney Joyner – and ports over a lengthy interview with American ex-pat star Cameron Mitchell filmed for Del Valle’s ’80s-era public access show and U.S and Italian trailers (and main titles) from VCI’s previous DVD release. This entry was posted in Movies and tagged Artsploitation Films, Lionsgate, VCI, Warner Archives Collection. Bookmark the permalink.